Not to overstate the obvious, but winter is definitely here. 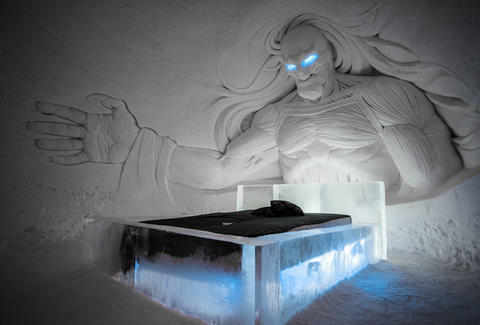 And at the Leland Hotel SnowVillage in Finland that's doubly true, as it's transformed its annual ice hotel into a Game of Thrones-themed frozen resort, complete with corridors and guest rooms lorded over by enormous hand-sculpted homages to the HBO mega-hit show. 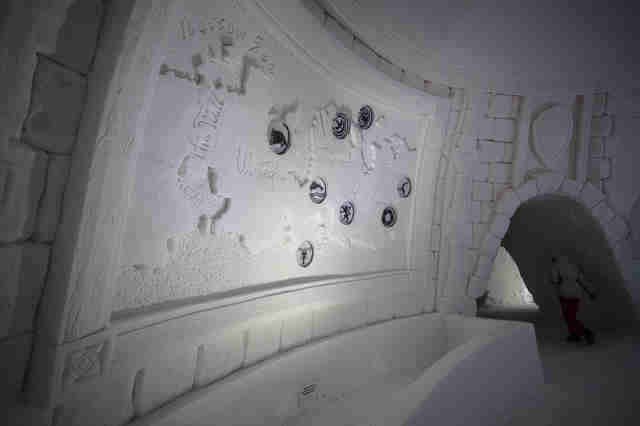 As it has for the last 16 seasons, Lapland Hotels built a brand new and sprawling seasonal overnight outpost out of ice this year in the western part of Finland's Lapland region, nearly 125 miles north of the Arctic Circle -- basically, way beyond The Wall. 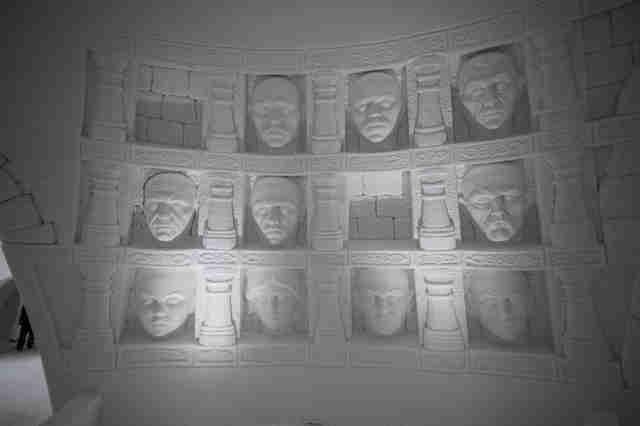 But unlike in years past, they teamed up with HBO Nordic on this winter's version and incorporated a number of special GoT-themed touches like White Walker-inspired creatures embedded into walls and ceilings, an Iron Throne made of ice, and even a Hall of Faces that's 100% frozen. The temperature inside stays around 23 degrees Fahrenheit, which is objectively super cold and warrants full winter wear, but it's not nearly as chilly as the outdoor temps, which hover around 10 degrees. For overnights, the hotel provides sleeping bags, pillows, and towels (however, they also advise that you only spend one night). You might want to pack some Dragonglass, too, just in case the Night King decides to stop by. If you're interested, it'll be open until early April, and you can book a room for about $200 per night. Alternately, $18 will get you a day pass to the SnowVillage if you just want to poke around and explore. Although staying overnight would probably be wise, considering getting there is quite a schlep. At least, without getting there by dragon.